Earn up to € 0,41 with Kinguin Mafia! Lees er hier meer over! 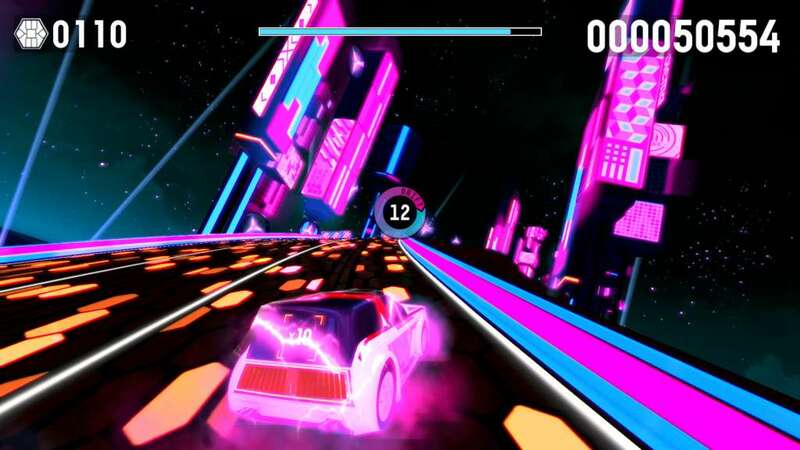 Riff Racer is a high-octane music based racing game where we create racetracks from the songs in your music library. Not a rhythm game, but a fresh twist on music-powered game creation. Action on track is synced to the audio, you literally have to race the music to stay in time and score points. 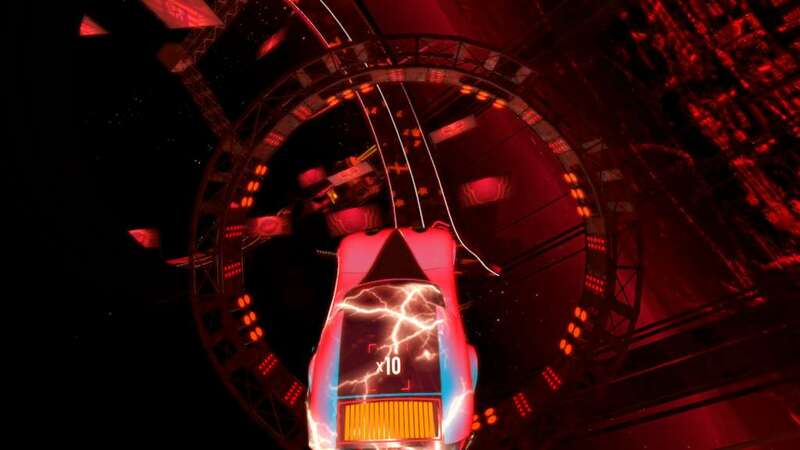 You've seen other music powered games, Riff Racer takes the concept to the next level with our innovative MEGA engine. 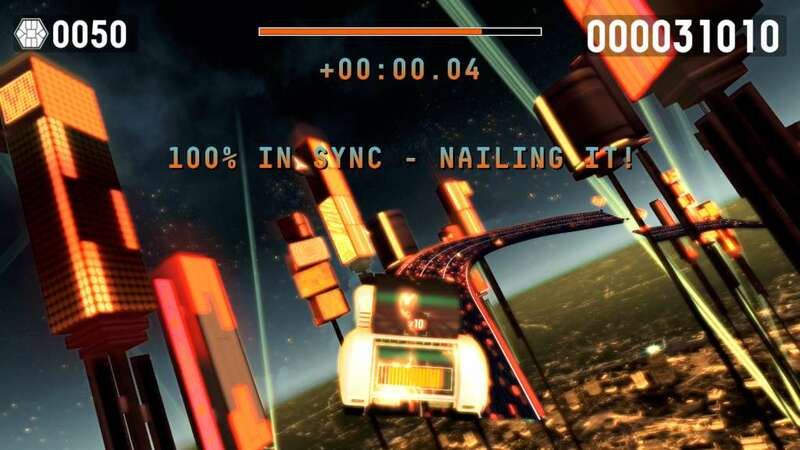 It takes any audio file, analyses it down to its core components and creates a unique racing experience from the structure of the song. 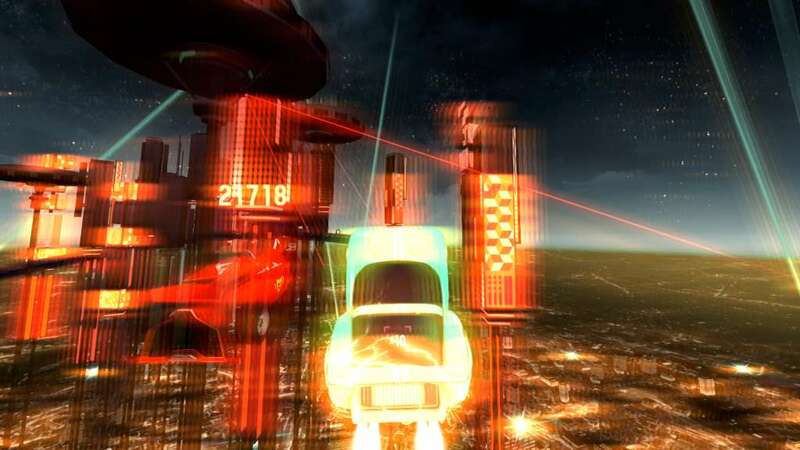 Verses, choruses and drops become checkpoints, and the environment and cars are styled to the genre of music you're playing. Be the first to 'create' a race-track from a song and have your name forever enshrined on the track’s leaderboard. Multiplayer features - Challenge your friends' ghosts to your favourite tunes and beat their high-scores on the track! 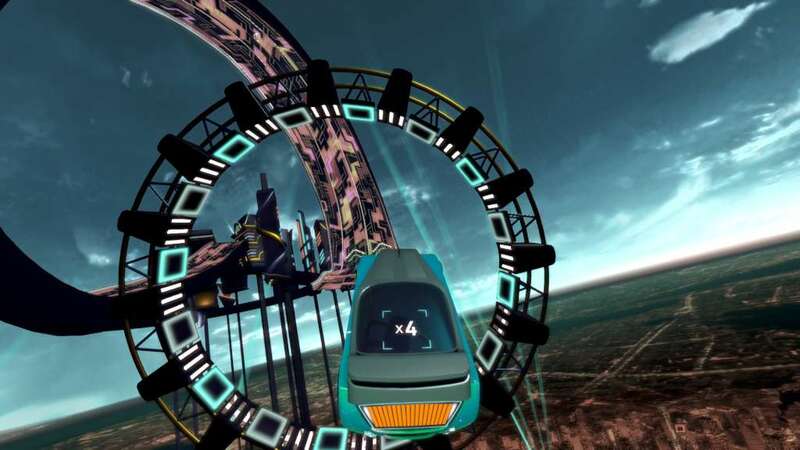 Score big for staying in sync, whilst performing stunts, jumps, drifts and rolls! 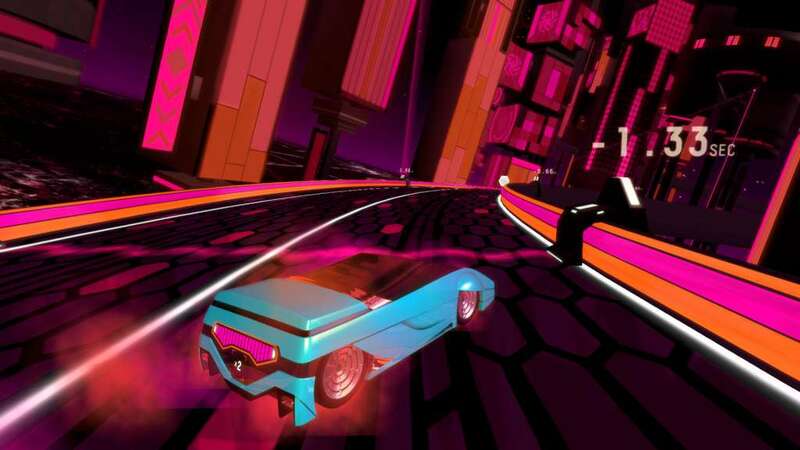 Riff Racer has unique environment styles based on different music genres, and a selection of genre based cars and liveries (and some secret cars you have to work out how to unlock!). Riff Racer currently supports MP3, FLAC, OGG and AAC (m4a) file formats. The game has full controller support in that you don't need a mouse and keyboard to play the game, but we only support newer xinput devices such as the X-Box 360 and X-Box One controllers. Older directinput controllers such as the Logitech Dual Action are not currently supported.